The flagship event of TERI, YUVA (Youth Unite for Voluntary Action) Meet 2016 is an event held in the Capital so that the voice of the young can be heard at this major international forum. 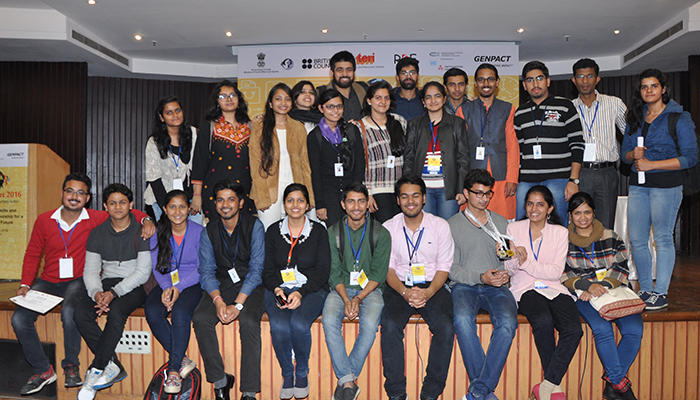 The 2-day youth conference that brings together young people from various parts of India and select countries abroad, has been held annually since 2009. 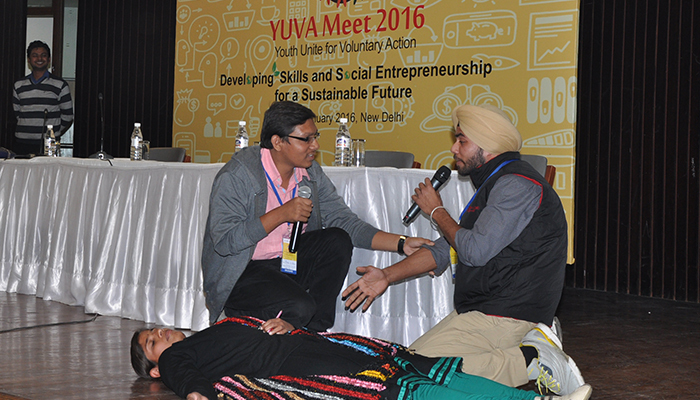 As part of YUVA Meet 2016, a series of State Level Seminars (SLS) is also organized to reach out to the youth in different parts of India focusing on a pertinent and pressing environmental challenge of the state/region. 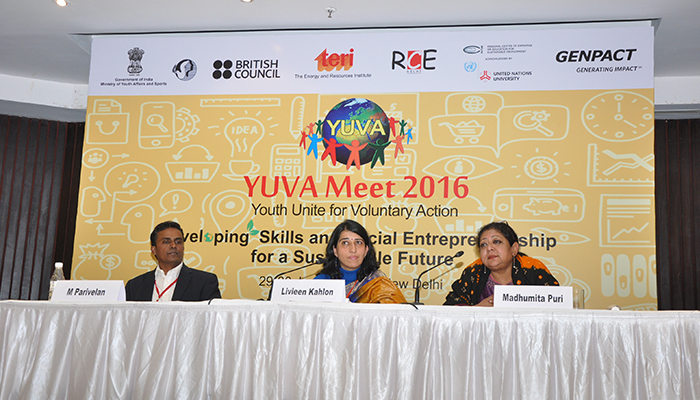 In partnership with the Ministry of Youth Affairs and Sports and Genpact, Sustainable Development Outreach and Youth Education Division organized the YUVA (Youth Unite for Voluntary Action) meet on January 29 and 30, 2016. 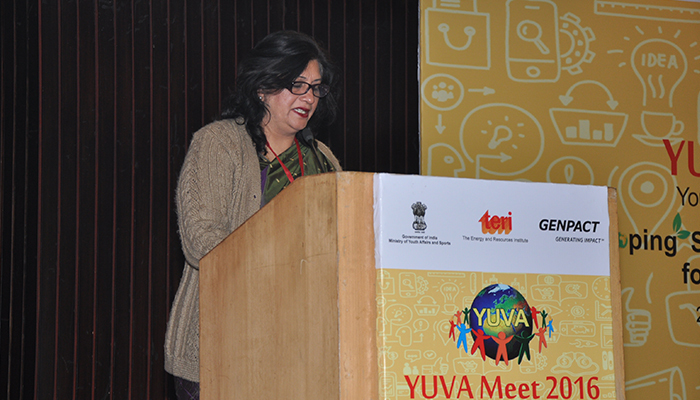 Being organized since 2009, YUVA Meet 2016 was the eighth in the series, and was held at India International Centre, New Delhi. 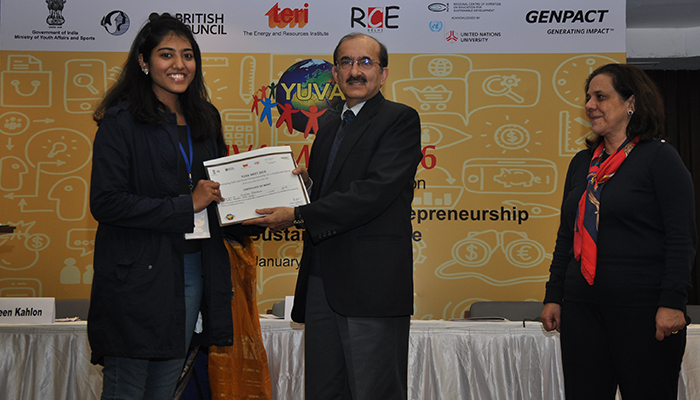 It was based on the theme 'Developing Skills and Social Entrepreneurship for a Sustainable Future'. 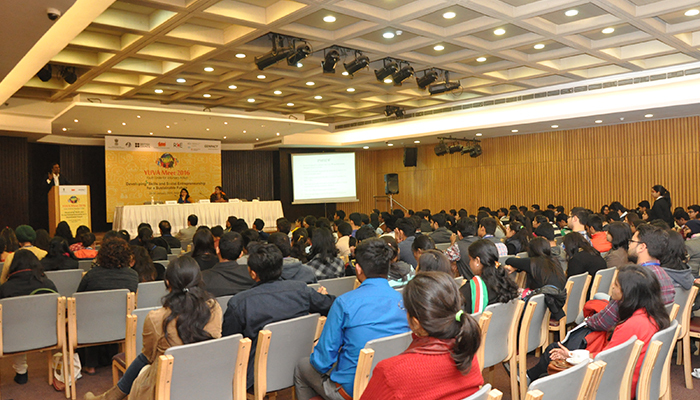 Over 220 youth from across the nation participated in this two-day event. The meet discussed about the present developmental scenario of our planet and urged the organizations and individuals to take proactive approaches of social responsibility through entrepreneurship. The meet witnessed sessions from a number of key speakers from ministries and other organisations engaged actively in the field of skilling and entrepreneurship - Mr Rajiv Gupta from the Ministry of Youth Affairs and Sports, Mr Richard Everitt from British Council India, Mr Stanzin Dawa, Regional Coordinator, RGNIYD Regional Centre Chandigarh, Ms Charvi Mehta from the Ministry of Skill Development and Entrepreneurship, Mr Harsh Singh from UNDP, and Dr M Parivelan from TISS.